Infiltrator 540 Gal. Septic Tank - Holmes Plbg and Htg Supply Co. The Infiltrator IM-540 is a lightweight strong and durable septic/pump tank. This watertight tank design is offered with Infiltrator’s line of custom-fit risers and heavy-duty lids. 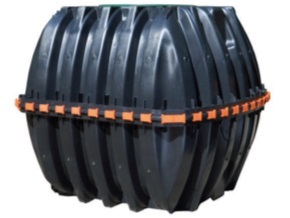 Infiltrator injection molded tanks provide a revolutionary improvement in plastic tank design, offering long-term exceptional strength and watertightness.